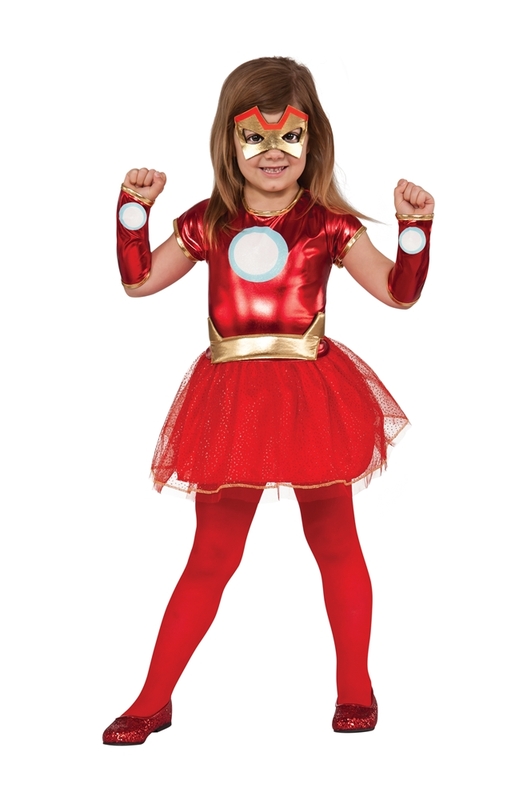 This Iron Girl Rescue Child Costume includes a tutu dress with metallic red top and glitter skirt, a pair of gauntlets, an eye mask and a gold belt, perfect for Halloween, comic book conventions and superhero themed parties year-round. Machine wash with cold water. Do not bleach. Dry Flat. Do not iron.